Marie Pennucci has been teaching communication and conflict courses to adult students and working professionals for over 20 years. Her specialty areas include the influence of culture and gender on communication and conflict in organizational settings. Her training background includes design and delivery of programs for non-profit, university, government, and corporate institutions. 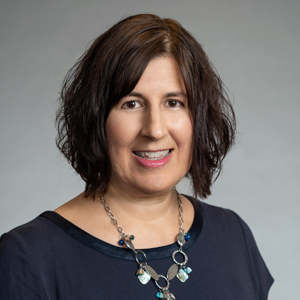 Prior to her teaching and training career, Pennucci held various positions in the public relations and marketing fields. She brings to her teaching a passion for students to develop in self-awareness, assertiveness and the confidence to identify and practice healthy problem solving behaviors. Pennucci holds a master’s degree in Interpersonal/Intercultural Communication with a focus on intercultural conflict from the University at Albany and a bachelor’s degree in Human Communication from SUNY Fredonia.